If you love the outdoors and a laid back lifestyle, then Wisconsin, is for you! 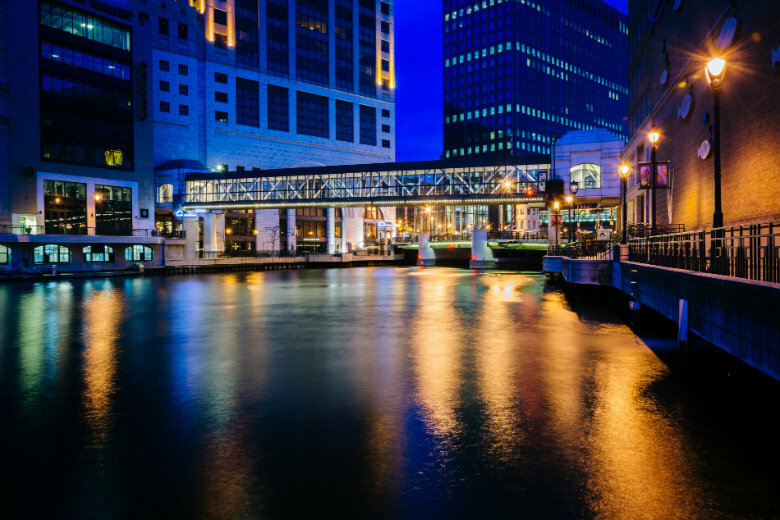 Wisconsin, also known as the Badger State, has over 7,400 rivers, lakes, and streams to enjoy, as well as several nature parks to explore. There are plenty of exciting things to do. One of which would be a summer music festival that has over 2,500 performers, making it the largest music festival in the nation. For these reasons and others, many people choose to make Wisconsin their forever home. Visit Wisconsin. Open Auto Transport: With this method of transport, the car will be shipped via an open-air carrier. Open auto transport provides a safe and fast way to transport the vehicle to its destination. Enclosed Auto Transport: If you are looking for a step up from the standard method of shipping, this would be it. Enclosed auto shipping protects the car from a variety of weather and road elements. Door-to-Door Transport: This vehicle shipping service provides added convenience in comparison to the alternative. Instead of having to drive somewhere to pickup your car, it will be delivered directly to your home. Corporate Relocation: We provide auto shipping services suited for both small businesses and large corporations. We take the stress out of corporate relocations. Dealer-to-Dealer Auto Trade: Are you a car dealer trying to buy or sell? When you need a car delivered on-time and in pristine condition, you need a professional auto shipping company. Each one of these services is unique and can help take the burden of auto transportation off of your shoulders. 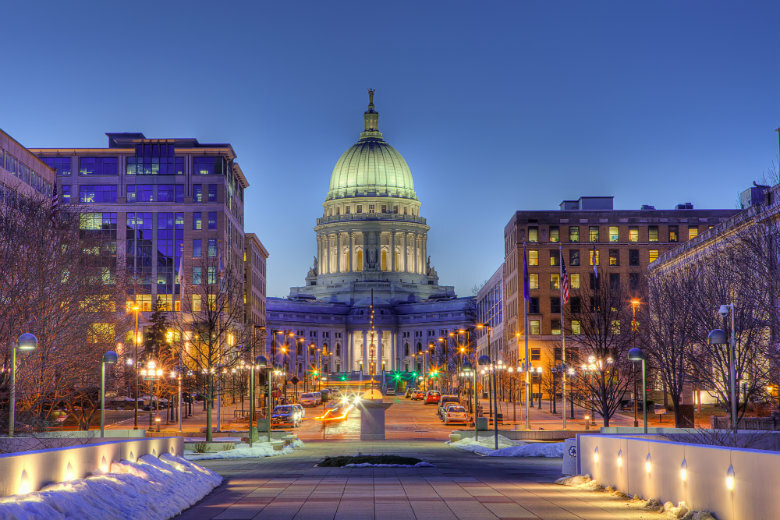 Once you have used one of our services to get your car to Wisconsin, it is time to explore your surroundings. As mentioned before, Wisconsin has many outdoor adventure spots, but there is so much more to the wonderful state. Check out some of our favorite places, listed below, and have some fun with your family and friends or by yourself. Sports fans, this is for you! Lambeau Field, home of the Packers, is located in Green Bay, Wisconsin. It is highly recommended that you attend one of the games, but if you cannot attend during football season, you are not out of luck. Stadium tours are available by appointment. There are other attractions available, as well. The field atrium is a popular destination for tourists. Renovations took place and were completed in August of 2015, making this a state of the art facility. It is open year-round and is more than five stories high. At the atrium, you can enjoy a number of different restaurants, shops, and entertainment options. There is also free wireless internet throughout the entire atrium, which makes it the perfect place to do homework or conduct meetings. Learn more about Green Bay. These botanical gardens, in Madison, are free and open every day. Guests can enjoy 16 acres of beautiful landscapes of flora and fauna. The Olbrich Botanical Gardens hope to enrich lives by sharing the beauty of the gardens, love of gardening, plant education, and diversity. They do this by conserving plants that are found in the Midwest and tropical forests. By studying these plants, the gardens’ researchers learn how to better conserve nature. While visiting the gardens, make sure to use proper garden etiquette. Do not walk through the flowerbeds or mulched areas. You should not collect or remove the plants from their habitat nor should you bring any outside plants into the gardens. Have you ever wondered what a petting zoo full of deer would be like? Well, wonder no more. At the Wisconsin Deer Park, located in Wisconsin Dells, all of your deer petting dreams can come true. There are roughly 40 acres of land at the park. Wisconsin Deer Park acts as a major zoological supply service for live deer, and they have shipped dear all over the country. At the park, you will be able to feed over 100 deer. You can take pictures with the deer as they eat food directly from your hand. You will be able to see animals in all stages of life, from infancy to adulthood. In addition to deer, the Wisconsin Deer Park also has goats, pigs, elk, ducks, horses, llamas, and more. The park is not open year round, so make sure to check the hours before you show up. Learn more about Wisconsin Dells. Located in Oshkosh is a couple of local farmers markets. The town has three different weekly farmers markets that happen at different times of the year. The main one, located downtown, has roughly 130 vendors every week during the summer months. The Saturday markets are a way for Wisconsin farms to sell their products to locals and support their farms. It also acts as a way for locals to purchase fresh produce, herbs, meat, and other items at an affordable price from people that they trust. The winter market allows you to stock up on all of your favorite holiday staples including food, gifts, and decorations. The market has been named one of the best 101 farmers markets in America for the last four years. You can choose to spend as much or as little as you want. There is no admission fee, only what you pay the vendors. If you choose not to buy anything, there are still opportunities for you to enjoy yourself. There are often live performances at the market to entertain the shoppers. This is definitely a family-friendly, laid back kind of way to spend your Saturday. For people with children this is a great location to visit. The Building for Kids is located in Appleton and provides you with a family-friendly environment at an affordable price. This interactive museum seeks to empower children by engaging them, their parents, and the surrounding communities. They do this by designing special exhibits, programs and events that inspire and teach children to have curiosity. Curiosity sparks interest and engagement in the child. Some of the amazing exhibits include a 10-foot replica of a human heart that kids can climb through, a mini golf course that requires children to outsmart a dragon, a construction site where children operate a crane to move objects via electromagnetic, a pretend bank where kids can be tellers, and many more. All of the exhibits are hands-on and allows the child to learn in a fun and exciting way. The museum also has a few different animals including a bearded dragon, birds, fish, and a guinea pig for your enjoyment. Are you in need of vehicle shipping services to or from Wisconsin? Request a free, instant car shipping quote using our online quote calculator. No personal information is required to get a quote in seconds. If you prefer to speak with a representative, call 800-321-2051.